Love the idea and want to start your own Bike Train? 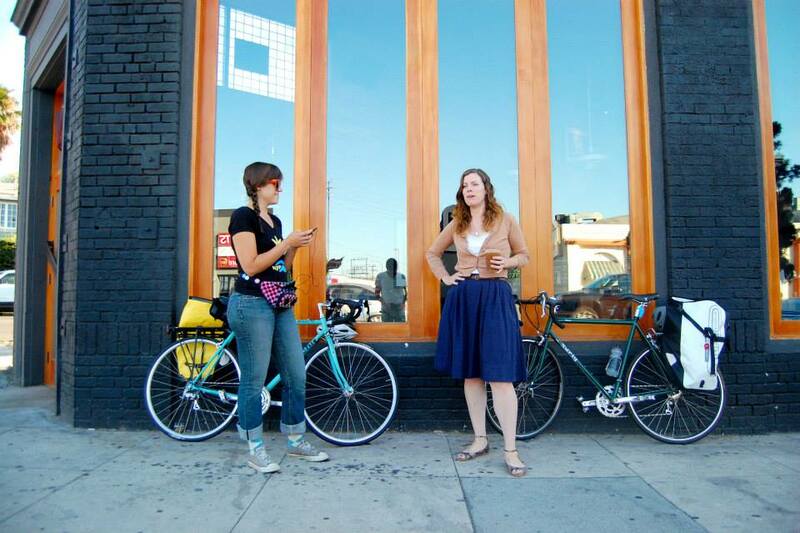 Check out BicycleCulture.org – the nonprofit that runs LA Bike Trains. Just moved to LA and need help learning to ride a bike here? Wanna learn how to ride a bike as an adult? Tired of sitting in traffic? Wanna learn to bike commute for fun & health? Have no fear! To answer the demand for personal 1:1 instructions, help and other questions… We’ve got you! Remember riding bikes is all about fun & making friends. Do you have 100+ employees, a large customer base or student body? Are you dealing with a lack of parking spaces, alternative transportation regulations or taxes? We have a 360’ approach to short, medium and long term ways to get people riding bikes (and walking and taking public transit). You can ‘plug and play’ a Bike Trains program, or we can customize a range of cost effective efforts. Remember the ORIGINAL L.A. Bike Trains? Check out the OG intro video. We’ve specialized a bunch since then, but the core structure and concepts remain 100% as effective for organizing today as they were then. Need to get to work in LA? Wish your commute was super fun instead of a drag? We provide a rolling party along curated routes run by Conductors – experienced urban cyclists – to educate new riders, harness the safety of riding in a group and kicking it up a notch by making the ride a fun social experience. Plus it’s totally free! All you need to do is submit your email, cell phone number and the route that you’re interested in. If you don’t see a route that works for you – suggest one!